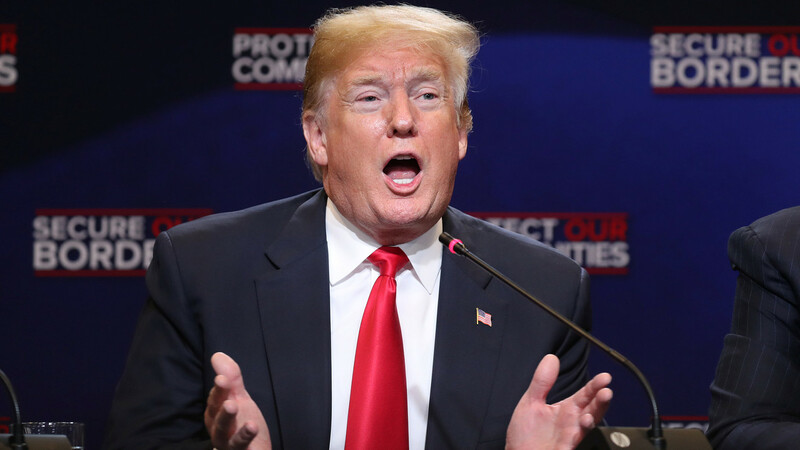 President Donald Trump said Wednesday he wanted to cut aid for the home countries of illegal immigrants to the U.S. based on the number of their citizens who crossed the border, expanding on an earlier threat to reduce foreign aid for Central American countries. He then proposed making aid deductions on a per capita basis “every time someone comes in from a certain country.” Some immigration policy experts argue that the way to prevent migrants from coming to the U.S. is to increase aid to the region to combat poverty and gang violence. The event was attended by several high-profile members of Trump’s administration and a roster of local Republican politicians discussing U.S. immigration policy, as well as Long Island families affected by MS-13 violence. Fate of 12 North Korea waitresses strains Moon-Kim detente. Apple avoids Amazon’s beauty contest, searches secretly for new campus. 0 responses on "Trump suggests cutting foreign aid to illegal immigrants’ home countries"